Yesterday was a pretty hot day. Almost too hot to go to the lake, but we went anyway. Just Frank and I. The kids were off doing their other weekend things. We took the boat, some chairs, an umbrella, my floaty, some snacks (sushi) and some fishing poles and the camera. We didn’t catch much but had a great day. We saw a total of 4 boats all day. That’s what I like about Stockton, it’s never that crowded. 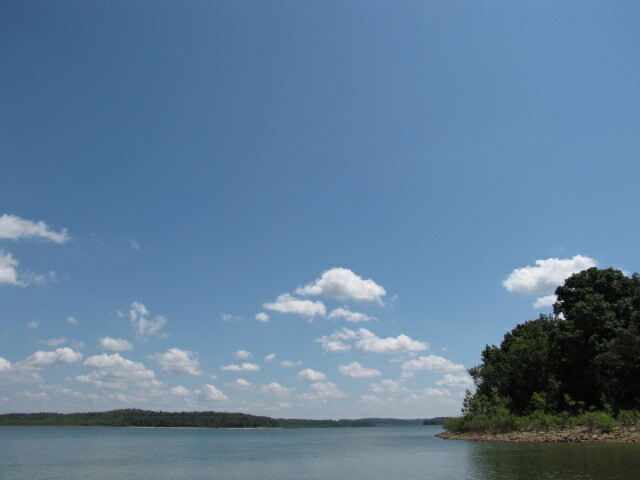 Now a Saturday at Table Rock would’ve been a completely different and totally unrelaxing story. We parked our boat here and played most of the day. 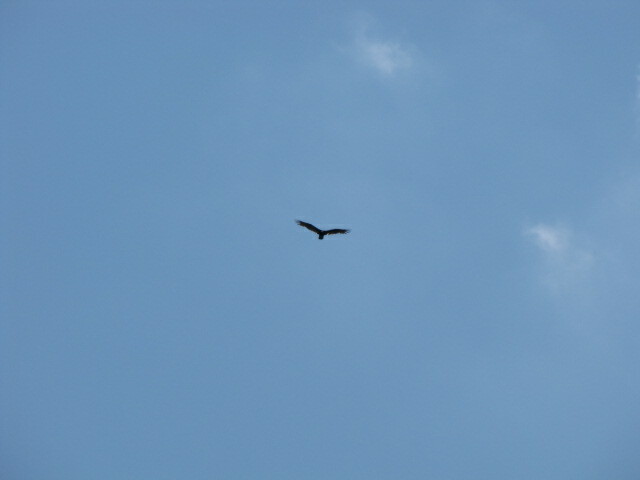 It was so quiet you could hear the flapping wings of this Turkey Vulture. There were several out yesterday. I saw two beautiful hawks as well. While Frank was off fishing I was busy floating. At one time I had 12 dragon flies on my legs. Eight on one leg and four on the other. This moth was pretty bland and gray on the outside. Once she opened her wings she was quite the show. We trolled the bank all the way back to the boat dock. 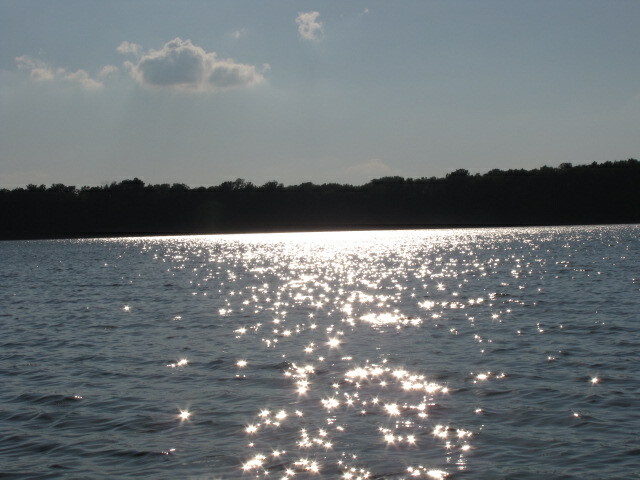 It was around six o’clock and the sunlight on the water was beautiful. 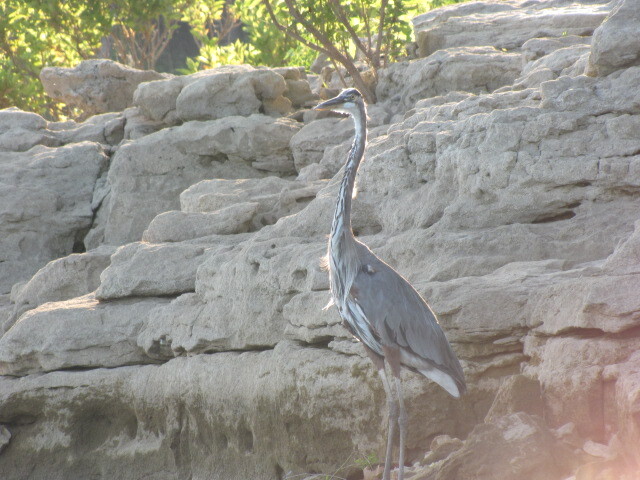 As we came around a bend I spotted this Blue Heron. Frank didn’t stop trolling fast enough before we got into too much sun. 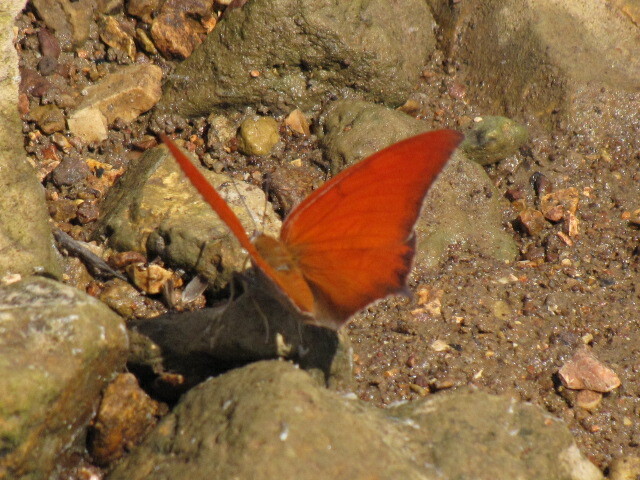 Then we were too close and it flew off. Crazy boat drivers……just kidding. 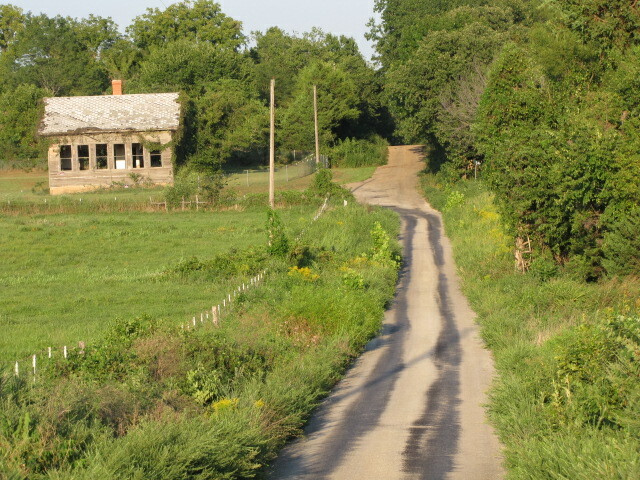 We pass this old school house (and cemetery) on the way to launch the boat. 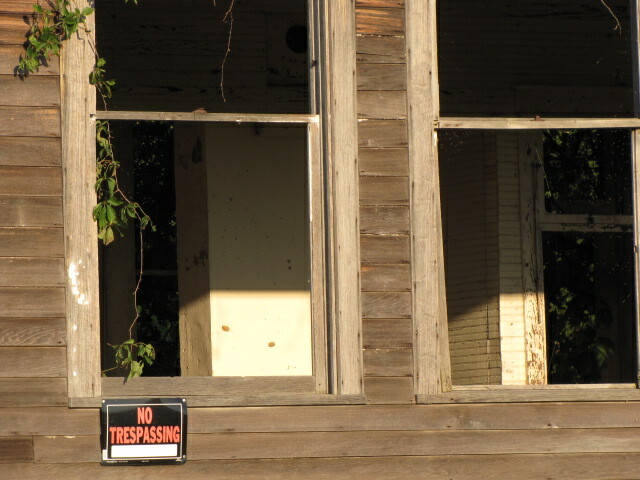 It has a high fence completely around it with with no tresspassing signs as well. It’s a neat old building. It’s near Aldrich or something. I really have no idea of the exact location or town. You can see inside of it and through the windows that were once there. 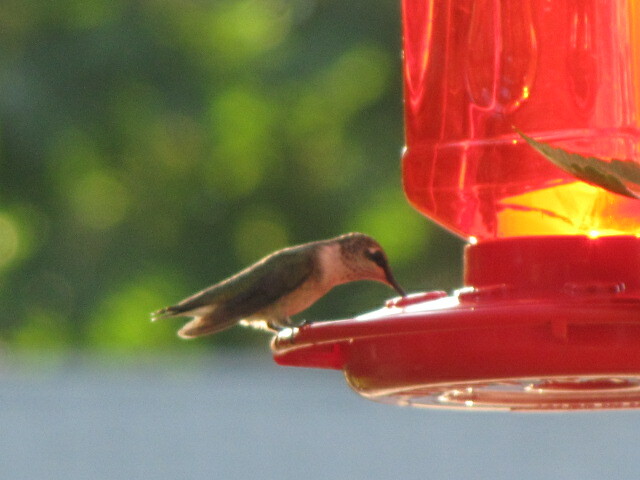 Woke up this morning to the hummers fighting over the feeder. It’s a beautiful day I slept in and missed yoga. I guess I’ll forgive myself. Get outside while it’s still cool, I’m going to. 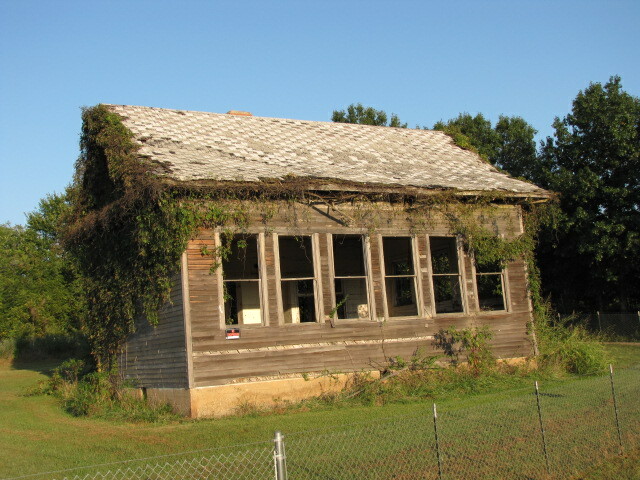 Categories: nature | Tags: house, hummingbird, lake, missouri, moth, old, school, stockton | Permalink. Our son Jordan (shown in the black and red) is quite the athlete. Track is his thing and he loves it. At the end of the school year he’s always a bit depressed that the season is over. That was until this year. This year a guy started the Springfield Track Club and several kids joined up. Oddly enough this guy is also a neighbor of ours as well and was interested in Jordan already. Jordan was so excited to have a track team to practice with as soon as school got out. They practiced two nights a week and attended several track meets as a team out of town. The last meet they entered happened in Tulsa. Here was where he would qualify for nationals. And qualify he did. He spent this last weekend in Norfolk, Virginia with 10 or so others that qualified as well. This is pretty cool stuff. He was so excited and so were we. But. Neither Frank nor I could head to Virginia. I’d just been gone 24 days and we didn’t expect this to happen. His mother was able to be there. His aunt and uncle were there too, they live close to that area. He had a strong support system there and we were thankful. He placed FIRST in discus and SECOND in shot-put. 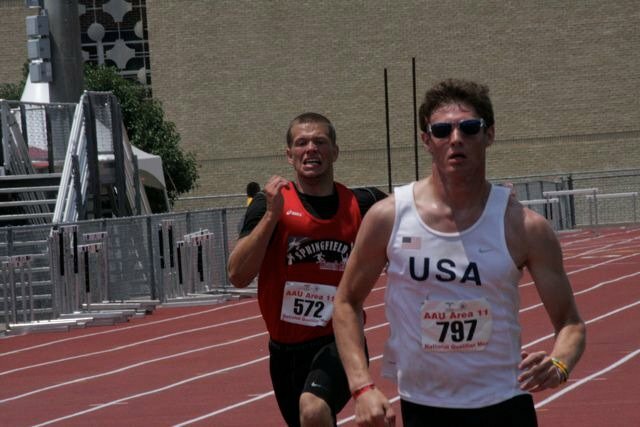 He entered the Decathlon which meant 5 events for him on Saturday and 5 for him on Sunday. He did great, we are so proud of him! 100 Meter Run 11.99 seconds – Long Jump 17′ 6.25″ – High Jump 4′ 11″ – Shot-Put 45′ 3″ – 400 Meter Run 55.47 seconds (he set a personal record on this one), Discus 152.3′, Pole Vault he didn’t clear, bummer – Javelon 135′ at 13th place, Hurdles 110 and the Mile Run 5 minutes and 12 seconds! 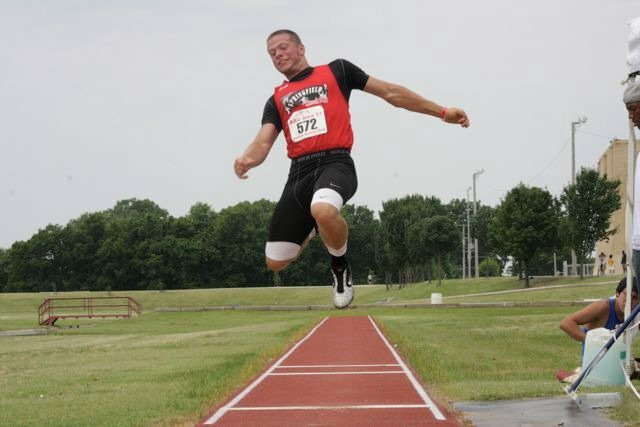 He ended the Decathlon with a score of 4,913 which isn’t too bad considering this is only his second Decathlon EVER. He’s hiking and camping in the mountains of Virginia right now and we sure can’t wait to have him back home to hug him and congratulate him properly! Categories: family | Tags: competition, discus, events, field, jordan, kukal, nationals, put, shot, track | Permalink.